Saving people from unnecessary surgery, pain, and suffering. is a Colorado native and graduate of Bear Creek High School in Lakewood, CO. She received her bachelor’s degree with honors from Muhlenberg College in Allentown, PA. She then earned her medical degree from Northwestern University in Chicago, IL in 2001. Dr. Vanderveen completed her surgical residency at UC-Davis in Sacramento, CA. During her residency, she also obtained a master’s degree in Clinical Research and was actively involved in cancer research and education. 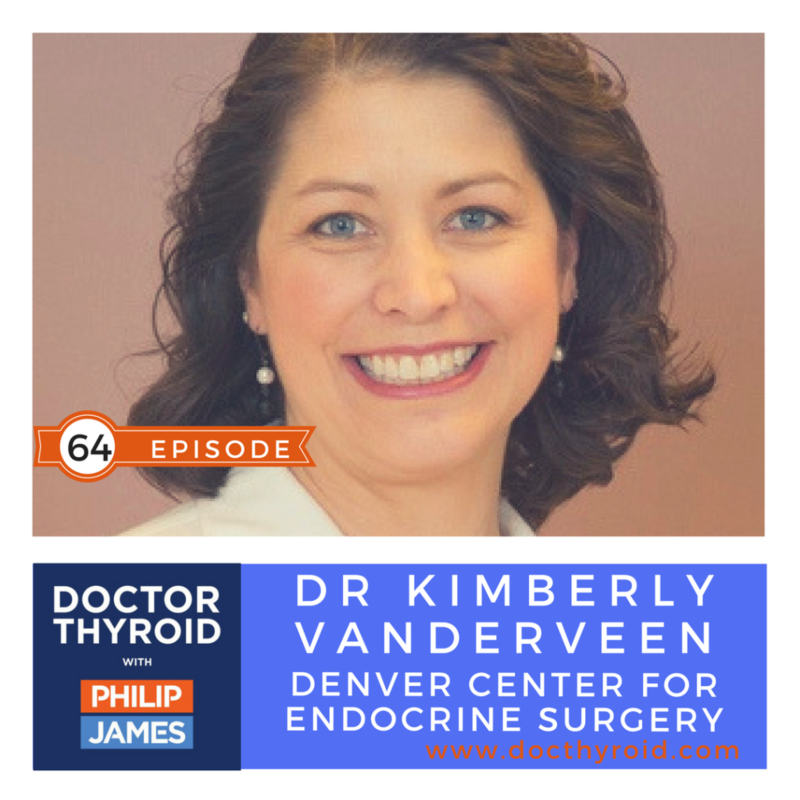 After her surgical training, Dr. Vanderveen completed a fellowship in Endocrine Surgery at the Mayo Clinic in Rochester, MN. She is knowledgeable in both medical and surgical aspects of endocrine diseases. She specializes in surgery for diseases of the thyroid, parathyroid, adrenal glands and is a high volume neck and adrenal surgeon. Do patients get both tests? Rule out and behavior? Managing indeterminate nodules when a patient chooses no surgery. Taking into account emotional, financial, and lifestyle goals of the patient. Addressing priorities and goals of the patients should come first. Additional molecular testing, surgery, or active surveillance. Profiling a patient who choose to remove thyroid even if indeterminate ? is usually due to fear and the C word.